All Bradley homes currently listed for sale in Bradley as of 04/21/2019 are shown below. You can change the search criteria at any time by pressing the 'Change Search' button below. "PLANETT RANCH is a rarity where once there were many. The privilege of privacy on 2,051+/- acres that have been lovingly cared for and carefully managed by one family for nearly 90 years. 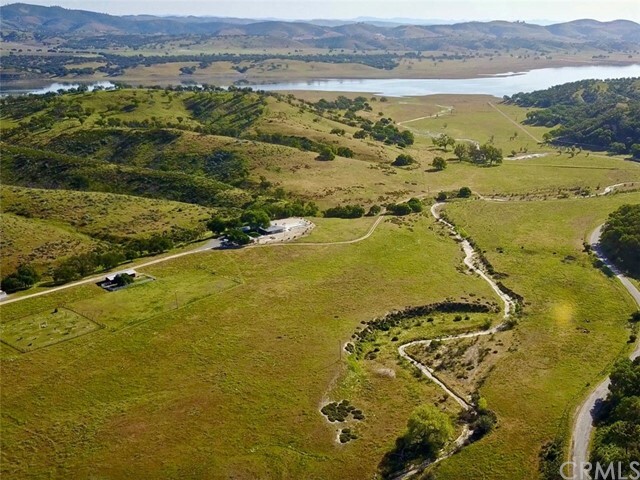 Only 32 miles northwest of Paso Robles, near the shores of Lake San Antonio, the original Homestead House has been preserved in its handcrafted glory. The newer Lake House was built for a family that entertains locals and out-of-towners alike. 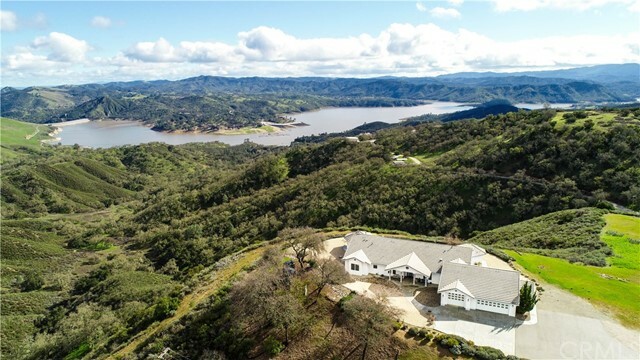 An elegant pool with swim-up beach and hot tub/exercise pool lures v"
"The most iconic estate in the private rec/res community of Oak Shores on Lake Nacimiento is for your most discriminating buyer. 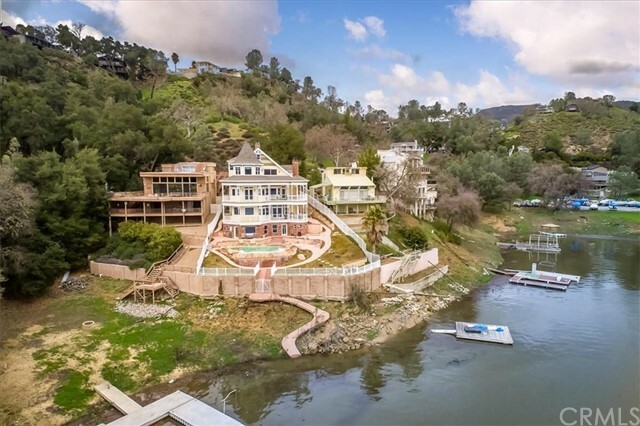 All who boat past Oak Shores knows the exquisite 5 story Lakefront Victorian Home that includes Elevator. Exquisitely designed, built w/ impeccable taste, the sophisticated, stylish estate infuses today's technology w/ magnificent rooms, timeless elegance, and panoramic VIEWS. 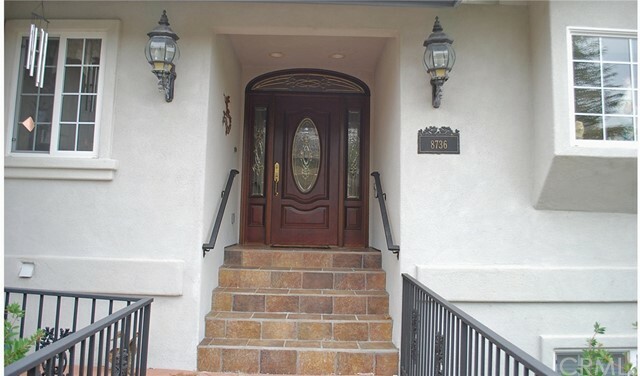 Boasting 4 Bdrms, 4.5 baths, Office, Library/Music room, Game Room, 5 fireplaces. Chef's Kitch"
"Amazing and picturesque 198 acre retreat located in the serene Sapaque Valley. The main home has gorgeous rustic rough-cut timber beams and wood finishes. Huge picture window invite the outside in by framing the peaceful and beautiful views of the surrounding countryside, Santa Lucia Mountain Range and beyond. The Guest House is very well appointed with 3 bedrooms 3 baths, and a spacious great room. There is a 6 stall horse barn, shop, and equipment storage building. This slice of paradise featu"
"Amazing Panoramic lake views on all sides from this waterfront beauty! 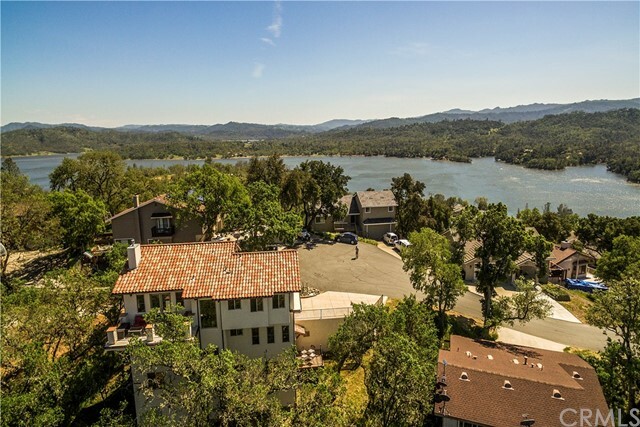 Enchanting & unique lake house includes oak studded lot, fabulous great room/kitchen area w/ views of the lake out every window. Granite countered gourmet kitchen w/ upgraded stainless steel GE appliances is a chef's dream. Seat over 25 between the dining area & counter seating. 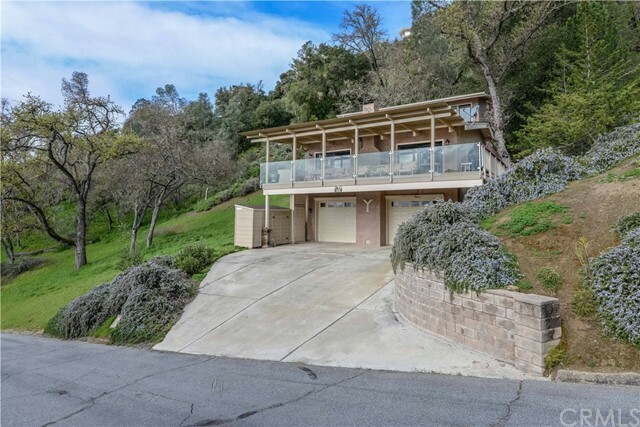 Or entertain on expansive decks overlooking Naci. 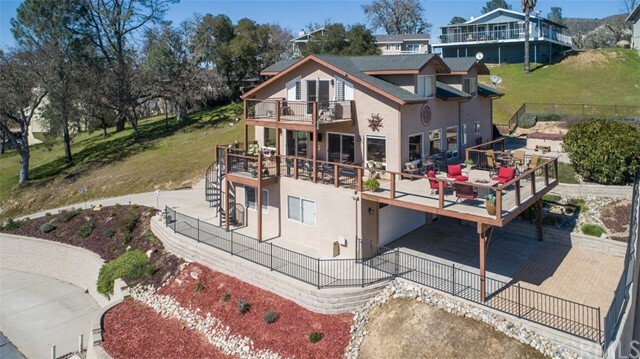 Plenty of room to sleep everyone comfortably w/ 4 bedrooms, 3.5 baths & a game room that could be a"
"Rare property with views of both Lake Nacimiento and San Antonio Lake. 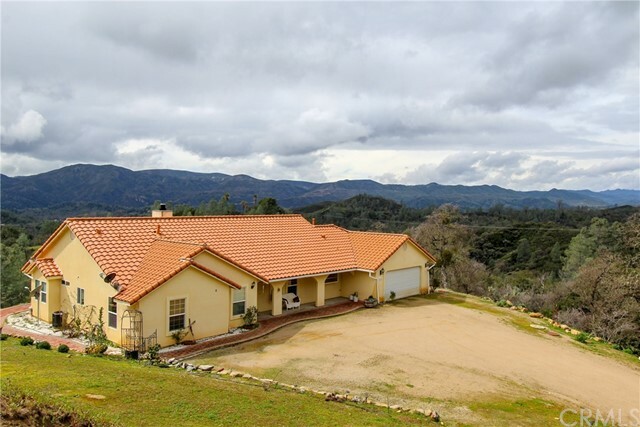 Beautiful single level home with amazing views and low maintenance landscaping. 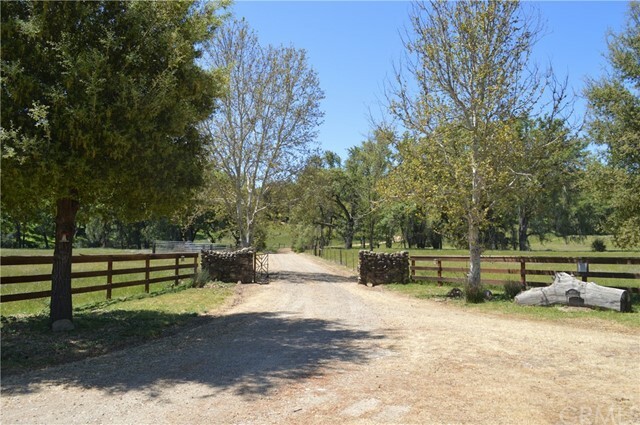 42 +/- acres of privacy surround the house with room for horse facilities, a shop, or a hobby vineyard. The home is approximately 3,800 sq. ft. with 4 bedrooms and 3 bathrooms. The enormous living room flows into the dining room and modern kitchen. The kitchen has nearly as good of views as the Master bedroom and Living room. The large Master Suit"
"Custom built entertaining home with panoramic lake and mountain views! 4 master suites, large game room, wine cellar/pantry, and a very large garage capable of housing a ski/wake-board boat AND pontoon boat. Located on a quiet cul de sac with ample off street parking. The upper level has VIEWS that surround you! Open floor plan, vaulted ceilings, large deck off dining area; and a very large kitchen with cherry cabinets, soft close drawers, and all stainless steel appliances. Dining area has 2 se"
"This property is located in the private community of Forest River located in the So. Monterey County area of Bryson Hesperia, Bradley. 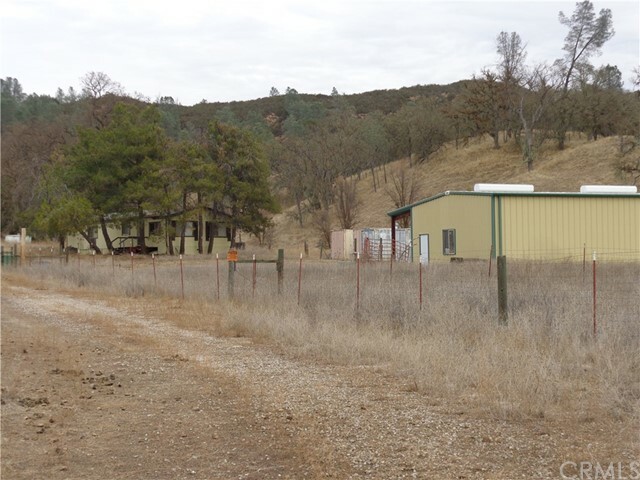 The listing consists of 3-40 acre parcels. The main parcel has electricity run underground to it from the main road with a transformer on the property. Maybe the last property on the grid. The main parcel has an older manufactured home in need of repair. It has it's own well and septic, AT&T phone service plus a large 1200 sq. ft. metal shop, several storage cont"
"Ready for offers! 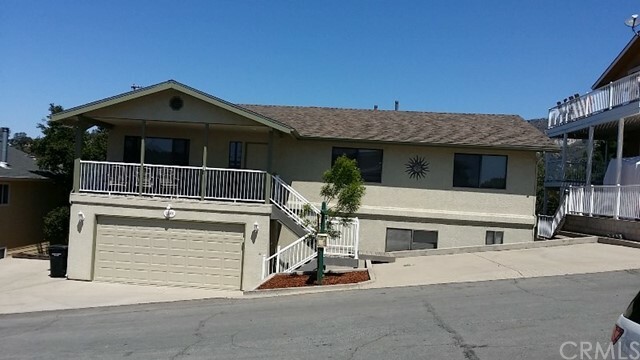 Large home bordering Nacimiento Lake, in the community of Oak Shores!! 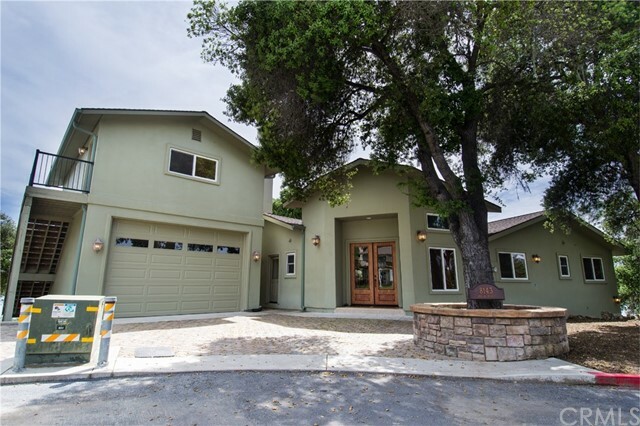 3,711 sqft home with large, open living areas! Built in 2009. Multiple large decks cover an additional 1800 sqft around the home! All bedrooms, living rooms, the kitchen, the dining room & even the 3-stall garage, have access to the decks! Huge living rooms on BOTH levels have hardwood floors, illuminated by grand picturesque windows with some lake views. Each window opens for a pleasant breez"
"Gorgeous Custom Lakefront home in the premier community of Oak Shores!! Seller anxious to sell, great price reduction & might carry 1st TD. A 2 level custom floor plan. Enjoy lake-views full upper level rooms & decks on upper level, 3 bedrooms on the lower level plus the 2nd level deck off of the lower bedrooms. 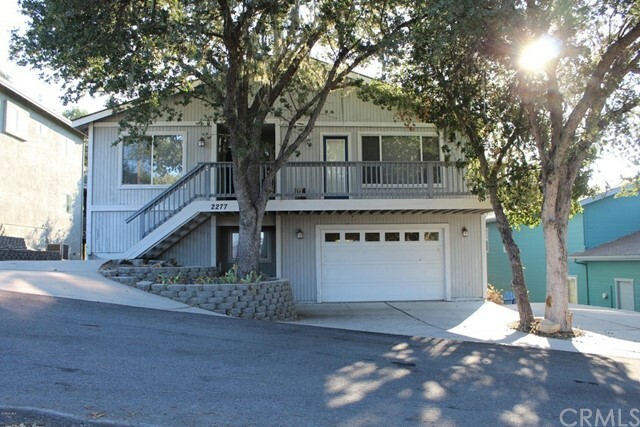 The home includes 3 baths on the lower level and 1/2 bath on the upper main level, designer window coverings, and gorgeous tile floors that are perfect for all types of furnishings, top "
"Completely top of the line remodel and impeccably maintained home situated near the Oak Shores Marina! 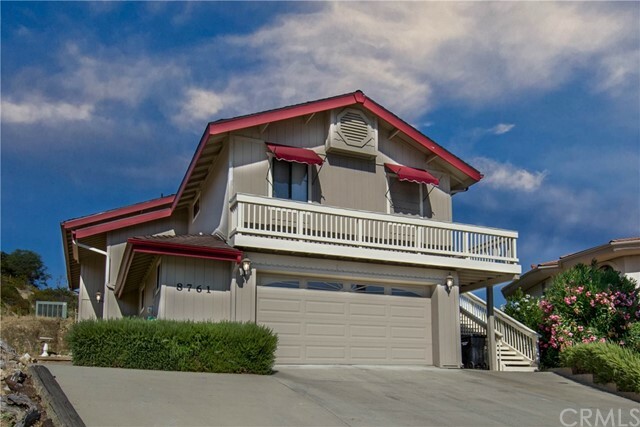 Enjoy incredible views, an open floor plan, 3 bedrooms, a bunk room an office and 2 two bathrooms all just steps away from the launch ramps, clubhouse and pool. Brand new gourmet kitchen with high end kitchen aide stainless steel appliances, gorgeous leathered granite counter tops, farm house sink & custom island and cabinets. There is even an elevator lift from the garage to the deck for easy "
"LOG HOME on 40 acre Off-grid property that has three 2400 sq ft sunlight controlled greenhouses. The property is in the gated community of Forest River. It is the last house on the road. Very private setting. The views are unbelievable! 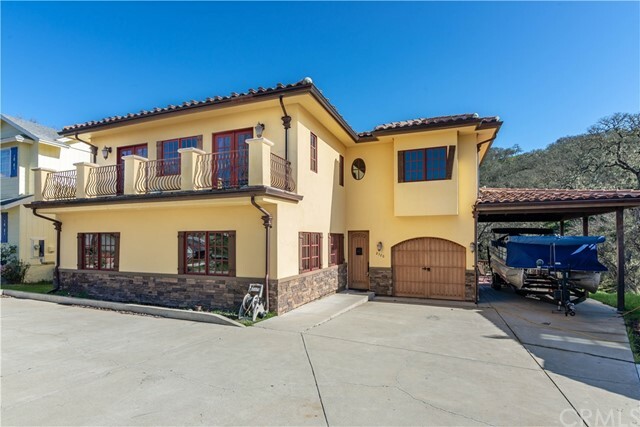 This property comes with the rights to use the 200 acres of community property and the Nacimiento River beach areas. The gardener, the adventurer or the nature lover in you will have plenty to feast upon. The private water well puts out plenty of water to support"
"Loads of privacy surrounds this home! Great home for all year around living or vacation away from home a true get away from it all feeling with some of the most spectacular views that will simply take your breath away! 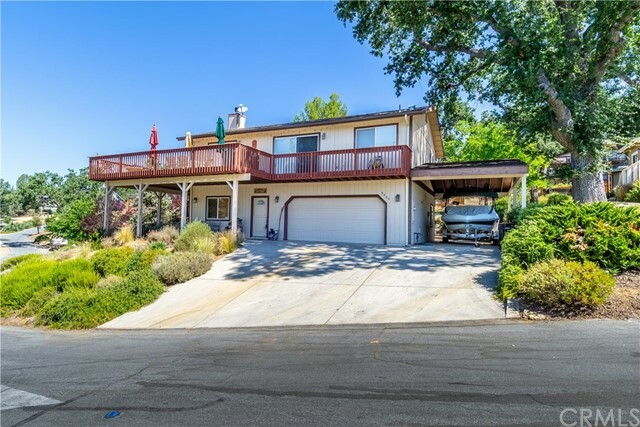 Home has a detached garage at street level for easy in & out boat access w/additional off street parking. and a rear outside shower. 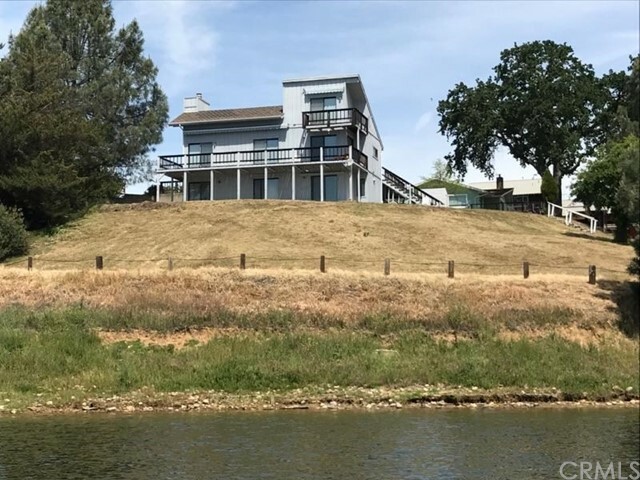 Two spacious levels of Trex Decking for your outdoor entertaining, one level covered and one level open, both levels giving you those "
"Beautiful remodeled waterfront home on Naci with private beach! This 3 bedroom, 3 bath home borders the private beach with access to your own dock (included!). Lake views abound from the front and side balconies and back deck. Upon entry you are welcomed by vaulted ceilings, an open floor plan and a warm cabin feel. Enjoy evenings by the fireplace in the living room. Prepare meals in the spacious kitchen featuring a breakfast bar and ample counter space and brand new stainless steel appliances! " "Looking for your next Homestead? This may be it! 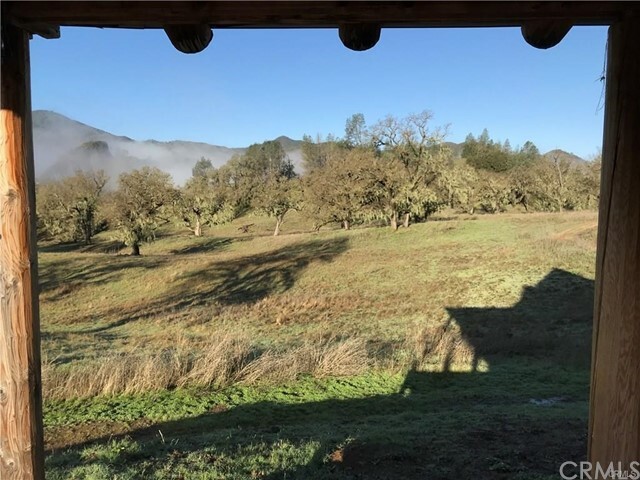 As you enter the property you can t help but notice the orchard with a plethora of fruit trees that have been lovingly, organically maintained by the sellers include varietals such as lemons, oranges, tangerines, apricot, pear, apple, pomegranate, plums and quince to name a few. The spacious chicken coop can be viewed as you continue along the driveway where you will pass the pine trees that pepper the property. 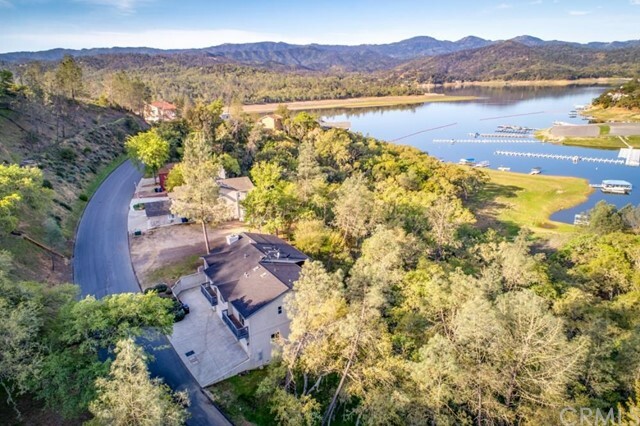 There is a RV pad wi"
"Encompassing some of the most incredible views in the entire Oak Shores community, this custom built, three level home is a prized Lake Nacimiento find. Enjoy a custom-built bar in the great room, the fire pit outside surrounded by beautiful glass on the deck, or the or the spa in the backyard. The home boast of two separate dining rooms and a stylish kitchen with travertine tile, granite countertops. The open floor plan allows the natural light to resonate within the entire home. One of the mos"
"Panoramic lake views from this gorgeous, custom home are sure to wow! 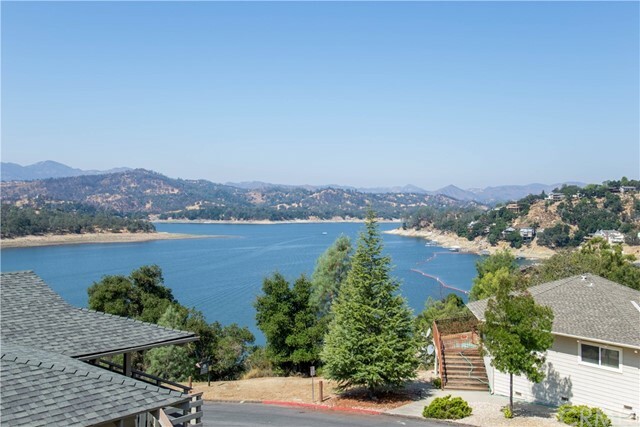 Expansive decking provides ample space to relax and enjoy the endless views of Lake Nacimiento after your day on the lake! The open floor plan kitchen features granite counter tops, a wine cabinet, tile back splash and a counter-top bar for easy entertaining! 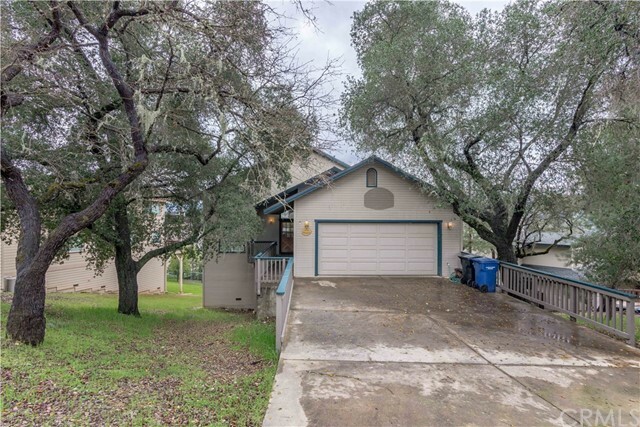 In the living room, beautiful wood ceilings, wood laminate flooring and tile-surround, gas fireplace combine to make a great space to either escape the heat in the summer"
"Lake access and views from this two story home at Oak Shores on Lake Nacimiento. On the marina greenbelt with a private 24x12 dock. New roof installed 2017. Freshly painted trim and back deck. Upper level of the home includes the great room, kitchen, dining area, 3 bedrooms, 2 bathrooms and two decks with views of the water.The lower level includes a family room with pool table, 2 bedrooms, one bathroom, an extra deep garage (for storing lake toys!) and a shop (for storing lake gear!). The great"
"Welcome to the perfect lake home! This Tuscan-style home boasts 5 bedrooms, including 2 Master suites, 4 baths and approx.. 2826 square feet of space for all your family, friends and guests! The multi-level outdoor deck that backs to greenbelts provides serene space to BBQ and relax after spending your day on the lake. Inside you will find all the attention to detail of a custom-built home such as nine foot high ceilings for a spacious feel as well as custom framed windows and recessed lighting "
"Open floor plan, split level with beautiful lake views! Upper level includes great room which opens onto a large, low maintenance deck, a 266 sq. ft. screened in porch, an updated kitchen, powder room and a master suite with dual sinks, large jetted tub and separate shower. Two bedrooms and bath are on the lower level with indoor access to garage and laundry. For more family and friend fun, there is a finished, spare guest room with a separate outside entrance. This purchase includes a 1/28th in"
"Fabulous lake cabin on a cul-de-sac street with lake views. This home with its open concept living checks all the boxes for lake life living and entertaining. Step into the living room with soaring pine vaulted ceilings, River rock fireplace and knotty pine kitchen with views of the lake from the decks. The private master suite is located on the main floor along with a half bath. Downstairs in a huge family room with a wood stove. This space can double as a recreation room. 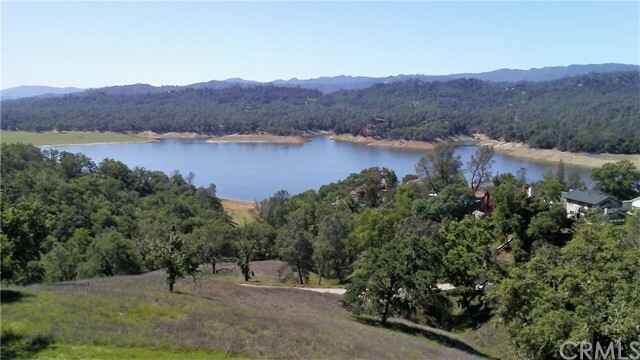 There are three addit"
"Lake is rising rapidly, so grab this well maintained lake house at Oak Shores, on beautiful Lake Nacimiento. You have waited for the perfect home at the lake..now is the time...One way street with minimal traffic. Ample parking for lake toys and guests, Unobstructed views. 4 bedroom 3 full baths and 2258 sq. ft of living space.split floorplan for family and friends to enjoy. great room, kitchen, dining room, Master suite, and additional bedroom and bath plus laundry all on upper main floor. 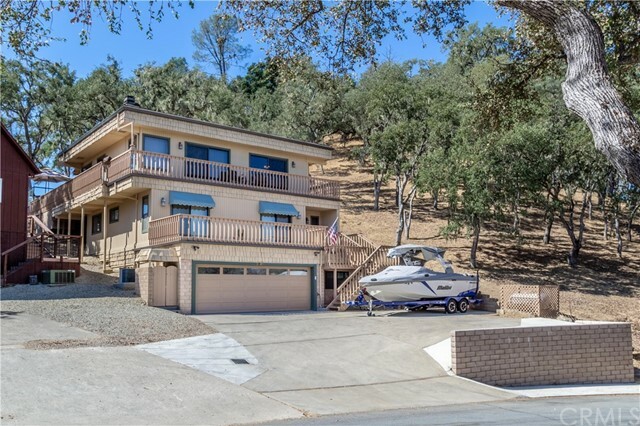 2 be"
"Don't miss out on this large well maintained Lake Nacimiento cabin with an open floor plan and warm feeling throughout with its wood paneled walls, 4 bedrooms, 4 baths, huge living, dining and kitchen combo. Step out onto either front or rear outdoor living spaces with mountain and lake views. Enjoy your favorite beverage while sitting on your lake view deck or while playing a friendly game of horse shoes. 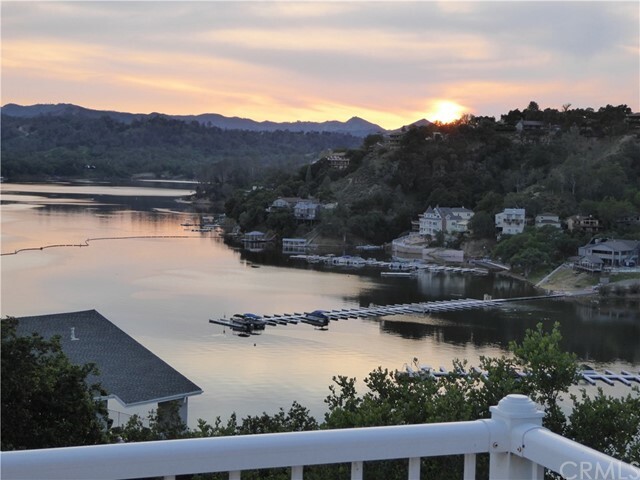 This property is perfect as a compound for family and friends as there is plenty of both i"
"This home is located at the front entrance to Bee Rock Cove on Lake Nacimiento in the Private community of North Shore Ski and Boat [club]Corporation. If your looking for a lakefront this may be the best location on the lake! The home is approximately 1700 sq.ft. of living space. The main entrance level has the living room, dining room and kitchen with unblockable lake views. Upstairs is an open loft used as the owners office with fantastic lake views. Downstairs is the master bedroom with maste"
"Fantastic Lake Home located on an extra wide one way circle Street in the premier gated community of Oak Shores. This spacious open floor plan with vaulted ceilings in the kitchen living room area has everything you will need to entertain your guests. Four bedrooms and a den allow beds for up to 14 people. Enjoy a glass of wine on this large low maintenance deck over looking the lake. Large garage for your jet ski's, golf cart or a smaller ski boat. Huge carport for your tower boat or a pontoon."